"AWAKEN YOUR HEALTH" with a Holistic Family Physician who Blends CONVENTIONAL & ALTERNATIVE Medicine. Dr. Pharo's "AwakenHealth Programs" include a Personalized and Integrative Approach to Healing for: WOMEN'S HEALTH (including Bioidentical Hormone Replacement Therapy), MEN'S HEALTH, NUTRITION, HEALTHY AGING, HEART, INFUSION THERAPIES and much more for "Treating The Unique Individual, Not Just Symptoms." 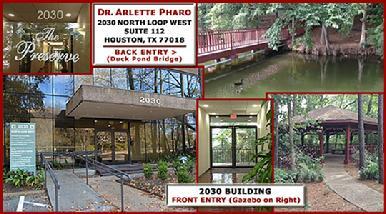 Located in "THE PRESERVE OFFICE PARK"
Dr. Arlette Pharo, D.O. founder of The Healing Arts Medical Center, and the AwakenHealth Medical Center. Dr. Pharo is a licensed physician in the State of Texas and has been in private practice in Houston for over 25 years. 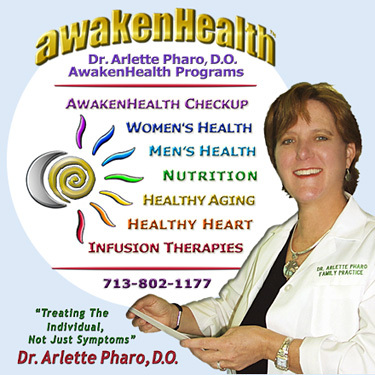 Dr. Arlette Pharo specializes in the blend of Conventional & Alternative Medicine for Awakening Your Health! 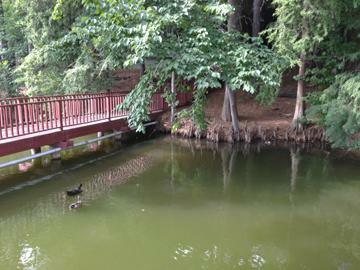 "Healing is more than the Treatment of Symptoms"
DR. ARLETTE PHARO, D.O. provides patients with an opportunity to "AwakenHealth" through a large variety of healing modalities which include aspects of Conventional Medical Treatments, Alternative Medicine and a Holistic Medical Approach to healing and maintaining wellness throughout life. Dr. Pharo is committed to the exploration of the underlying cause(s) of disease rather than just treating the presenting symptoms or surface condition. This approach emphasizes the unique aspect of each individual's health needs through the development of personalized "AwakenHealth Programs". Dr. Pharo's "AwakenHealth Programs" are designed to empower the individual's Awakened Health on many levels through Integrative Medicine, the blending of Conventional and Alternative Medicine. professional assessments for each individual. Have you ever searched for answers to your medical questions or definitions to certain medical terms and just wished you could find a licensed physician who could give you straight, credible and understandable information? If you are searching for anything like the search word samples listed below, you have now found the very special physician who understands your search and has spent over 25 years in private practice finding answers! Follow the links provided at the bottom of this page to discover how Dr. Pharo can provide answers and help you Awaken Your Health! DR. PHARO Can Help You If You Are Searching For How To Awaken Your Health. HAVE YOU SEARCHED THESE CATAGORIES: Conventional Medicine; Integrative Medicine; Alternative Medicine; Holistic Medicine; Functional Medicine; Natural Hormone Replacement Therapy; Bioidentical Hormones; BHRT; HRT; Menopause; Andropause; Compounding Pharmacies; Thyroid Disease; Adrenal Fatigue; Osteoporosis; Candida; Irritable Bowel Syndrome; Detoxification; Chelation Therapy; Heavy Metal Toxicity; Mercury Toxicity; Intravenous Infusions; Hydrogen Peroxide IVs; Brown Protocol; Osteopathic Manipulation; Thermography; Acupuncture; Natural Health; Calories; Diet; Nutritional Assessment; Healthy Aging; Immunine System Support; Heart Health; Men's Health; Women's Health; Healthy Living and How to Blend Conventional & Alternative Medicine! Dr. Pharo has experience in all of these catagories and more during her 25 years in Private Practice Family Medicine and Founder of both The Healing Arts Medical Center & AwakenHealth Medical Center.
" NEW PATIENTS are Priority in Dr. Pharo's Office! We Strive to Meet Patients Needs & Limit Wait Times!" If you are looking for a licensed physician for your entire family that listens, spends time with you, works with you to address your health needs and offers a holistic integrative approach to Awaken Your Health, you are looking for Dr. Arlette Pharo, D.O. Call 713-802-1177 in Houston, Texas for More Information and to Schedule Your "AwakenHealth Appointment" & "New Patient Consultation"
with Dr. Arlette Pharo, D.O. We strive to schedule NEW PATIENTS within the quickest time available! It is a priority in Dr. Pharo's Office Policy to always leave room in her schedule each week for NEW PATIENT APPOINTMENTS and Emergencies! Surround yourself with those who will support your dreams and want you to be all that you can be. Put yourself at the top of your "To Do List"! 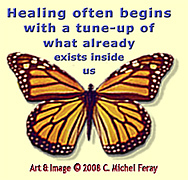 "CLICK-Butterfly" To Go Directly To Dr. Pharo's "AwakenHealth" Medical Practice Information. 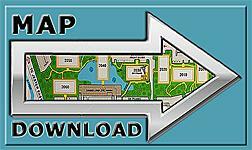 "CLICK" on the Phone Number Above for More Info, Address, Active "Map Quest" Driving Directions and more.